The first global network to provide a complete solution for point of sale financing. 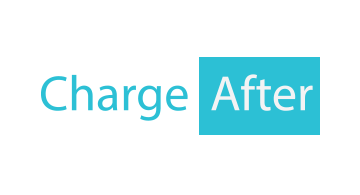 ChargeAfter’s disruptive technology enables merchants to offer their consumers instant, seamless financing from multiple lenders upon checkout. The financing at point of sale market size is $400B in the US alone, with global potential of $6T. Today's consumers are looking for a different financing/credit solution: Instant, more reachable and less expensive (Avg. credit card APR is 17%). Many view POS financing as the future of how consumers will obtain credit (already 63% of millennials don’t own a credit card!). While there has been an emergence of technological lenders with the ability to underwrite within seconds, the offered solutions are unsatisfactory, leading to merchants losing sales. Single lender solutions have low approvals and high friction due to bad user experience, while multiple lenders at checkout confuse consumers, are difficult to integrate and complicated to manage for merchants. There is no single, holistic solution to connect and manage all of these lenders. ChargeAfter enables merchants to offer their consumers seamless financing from multiple lenders at point of sale, and manage all transactions via a single platform - Providing a complete solution for POS financing. Our global network of lenders provides shoppers with cheaper, instant, personalized financing options at checkout - increasing conversion, average order value and customer loyalty. ChargeAfter's technology has created a smooth user experience, which can be integrated to any E-commerce platform within minutes. Designed by cyber security experts, our solution meets the strictest standards in the industry, ensuring data could not be safer. Our patent pending Credit Engine originates and matches shoppers with lenders’ best offers by using advanced predictive modeling and real-time behavior analysis algorithms, with machine learning and big data techniques.